In this study, the authors describe the cutting characteristics of binderless CBN end mills in milling of die steel. A single flute radius end mill having a diameter of 0.5 mm and corner radius of 0.02 mm was in the experiment. Heat-treated steel, stainless steel, and high-speed tool steel were cut using a high-speed spindle, allowing for the analyses of tool wear and surface roughness. The results revealed that the wear volume increased with an increase in the hardness of the work material although the edge retreat amount after cutting 25 m was less than 5 μm. The average surface roughness of the finished surface was less than 15 nm in all the work materials. A mirror-finished surface was also obtained. This result contributes to the automation of the polishing process of metal molds and to the more efficient use of labor. K. Hamaguchi, H. Kodama, and K. Okuda, “Tool Wear and Surface Roughness in Milling of Die Steel Using Binderless CBN End Mill,” Int. J. Automation Technol., Vol.11, No.1, pp. 84-89, 2017. T. Sugano, K. Takeuchi, T. Goto, Y. Yoshida, and N. Ikawa, “Diamond turning of an aluminum alloy for mirror,” CIRP Annals-Manufacturing Technology, Vol.36, No.1, pp. 17-20, 1987. Z. Zhiyu, H. Peng, and J. Yan, “Micro-cutting characteristics of EDM fabricated high-precision polycrystalline diamond tools,” Int. J. of Machine Tools and Manufacture, Vol.65, pp. 99-106, 2013. K. Nakamoto, T. Aoyama, K. Katahira, P. Fonda, and K. Yamazaki, “A study of nanometric surface generation on tungsten carbide using a micro polycrystalline diamond end mill,” Int. J. of Automation Technology, Vol.6, No.4, pp. 547-553, 2012. Y. Takeuchi, K. Sawada, and T. Sata, “Manufacture of Micropropellers by Means of Ultraprecision Milling Machine.” J. of Robotics and Mechatronics, Vol.9, No.6, pp. 475-479, 1997. H. Iwabe and K. Enta, “Tool Life of Small Diameter Ball End Mill for High Speed Milling of Hardened Steel,” Int. J. of Automation Technology, Vol.2, No.6, pp. 425-430, 2008. B.M. Gopalsamy, B. Mondal, S. Ghosh, K. Arntz, and F. Klocke, “Experimental investigations while hard machining of DIEVAR tool steel (50 HRC),” The Int. Journal of Advanced Manufacturing Technology, Vol.51, No.9, pp. 853-869, 2010. S. Wojciechowski and P. Twardowski, “Tool life and process dynamics in high speed ball end milling of hardened steel,” Procedia Cirp, Vol.1, pp. 289-294, 2012. B. M. Gopalsamy, B. Mondal, S. Ghosh, K. Arntz, and F. Klocke, “Investigations on hard machining of Impax Hi Hard tool steel,” Int. J. of Material Forming, Vol.2, No.3, pp. 145-165, 2009. C. E. Becze, P. Clayton, L. Chen, T. I. El-Wardany, and M. A. Elbestawi, “High-speed five-axis milling of hardened tool steel,” Int. J. of Machine Tools and Manufacture, Vol.40, No.6, pp. 869-885, 2000. 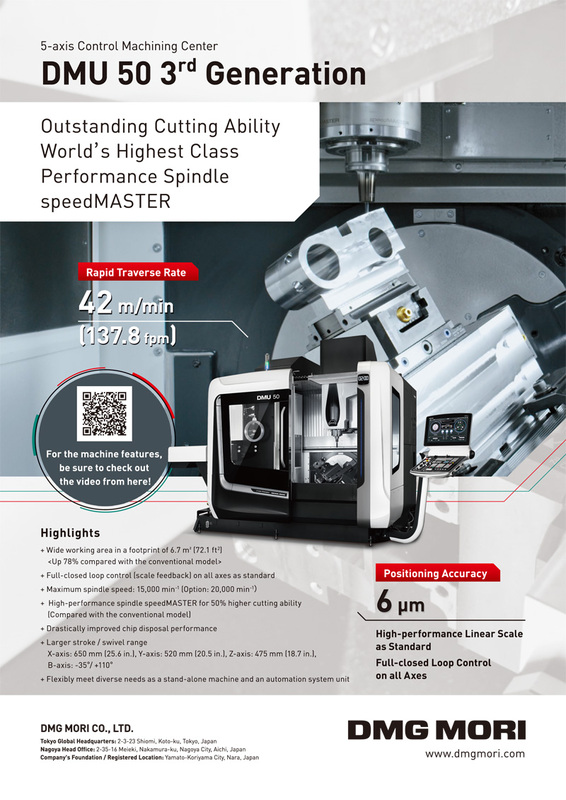 K. Fujisaki et al, “Development of ultra-fine-grain binderless cBN tool for precision cutting of ferrous materials,” J. of Materials Processing Technology, Vol.209, No.15, pp. 5646-5652, 2009. K. Naganuma and M. Mori, “High Precise Milling Process by cBN End Mills,” Int. J. of Automation Technology, Vol.6, No.4, pp. 542-545, 2012. K. Hirosaki, K. Shintani, H. Kato, F. Asakura, and K. Matsuo, “High speed machining of bio-titanium alloy with a binder-less PcBN tool,” JSME Int. J. Series C Mechanical Systems, Machine Elements and Manufacturing, Vol.47, No.1, pp. 14-20, 2004. R. Mustafizur, Z. Wang, and Y. Wong, “A review on high-speed machining of titanium alloys,” JSME Int. J. Series C, Vol.49, No.1, pp. 11-20, 2006. W. Y. Bao, and I. N. Tansel, “Modeling micro-end-milling operations. Part II: tool run-out,” Int. J. of Machine Tools and Manufacture, Vol.40, No.15, pp. 2175-2192, 2000. M. Masuda, T. Nogami, A. Mizobuchi, and T. Nagahama, “The Behavior of Tool Life and Cutting Temperature on High Speed Milling of Hardened Alloy Tool Steels,” J. of the Japan Society for Precision Engineering, Vol.66, No.11, pp. 1745-1749, 2000 (in Japanese). J. S. Wang, D. J. Zhao, and Y. D. Gong, “A Micromilling Experimental Study on AISI 4340 Steel,” Key Engineering Materials, Vol.407, pp. 335-338, 2009. L. Qian and M. R. Hossan, “Effect on cutting force in turning hardened tool steels with cubic boron nitride inserts,” J. of Materials Processing Technology, Vol.191, pp. 274-278, 2007. K. Hamaguchi, Y. Kagata, H. Shizuka, and K. Okuda, “Effect of tool tilting angle on tool wear and surface roughness in micro ball end milling,” Advanced Materials Research, Vol.325, pp. 606-611, 2011. Y. S. Liao, H. M. Lin, and Y. C. Chen, “Feasibility study of the minimum quantity lubrication in high-speed end milling of NAK80 hardened steel by coated carbide tool,” Int. J. of Machine Tools and Manufacture, Vol.47, No.11, pp. 1667-1676, 2007. W. Y. H. Liew and X. Ding, “Wear progression of carbide tool in low-speed end milling of stainless steel,” Wear, Vol.265, No.1, pp. 155-166, 2008.